OK! Just look at what I've got to show you today! 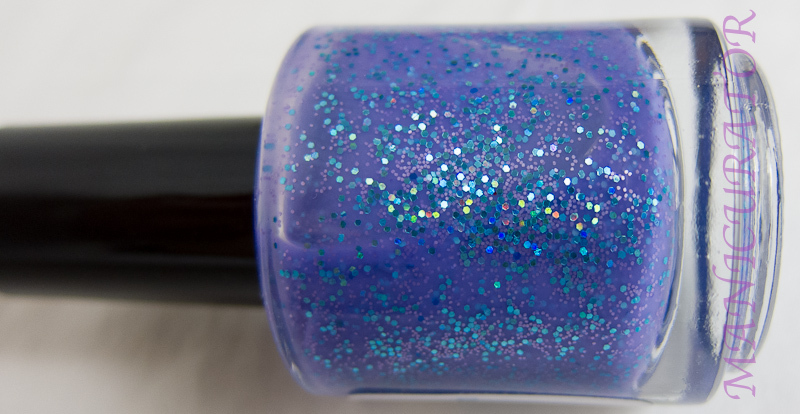 Two great glitter polishes from Smitten Polish. Follow her on Facebook. 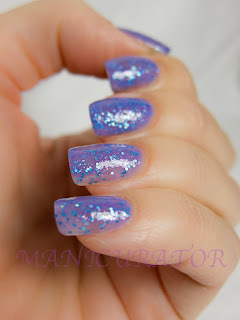 Noelie has a beautiful blog too, where you can see her own swatches and keep up with what's new. Purchase at her Etsy shop. 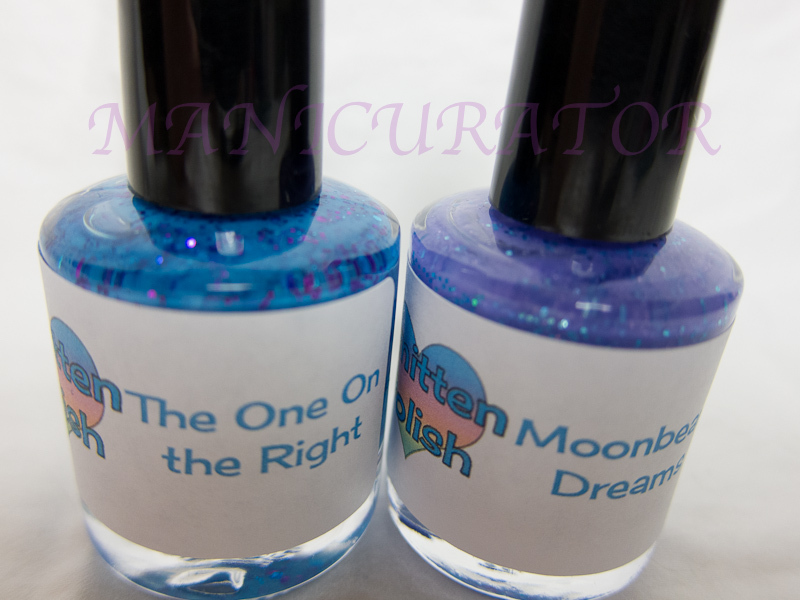 This is Moonbeam Dreams. 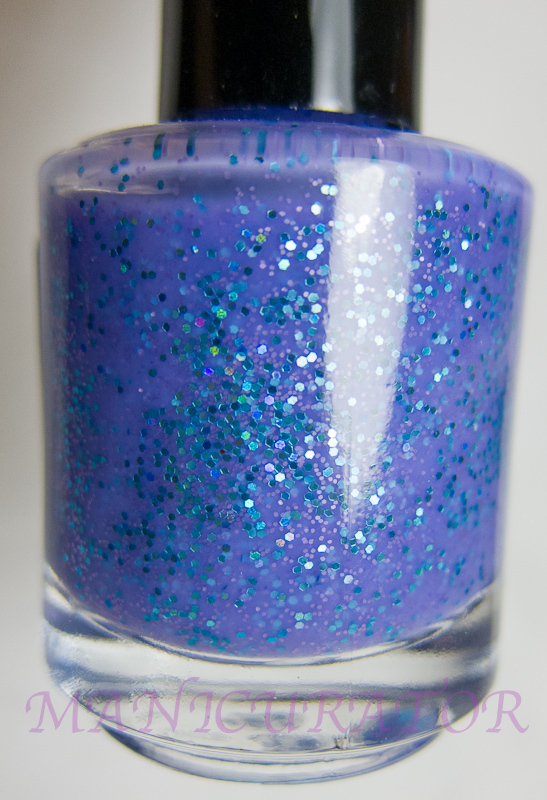 A lovely "Blue and purple glitter suspended in a purple milky base". How pretty is this? Application was easy, no issues, but I should note..do two thick coats (as you can see on the middle finger) or 3 thin coats. 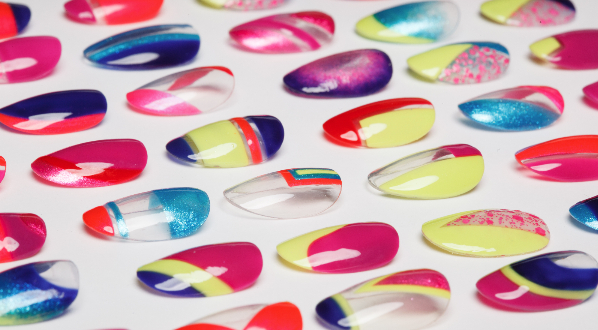 What you see here is 2 coats, but seeing them enlarged I feel I should have done 3 coats. The One On the Right - a clear winner for me. 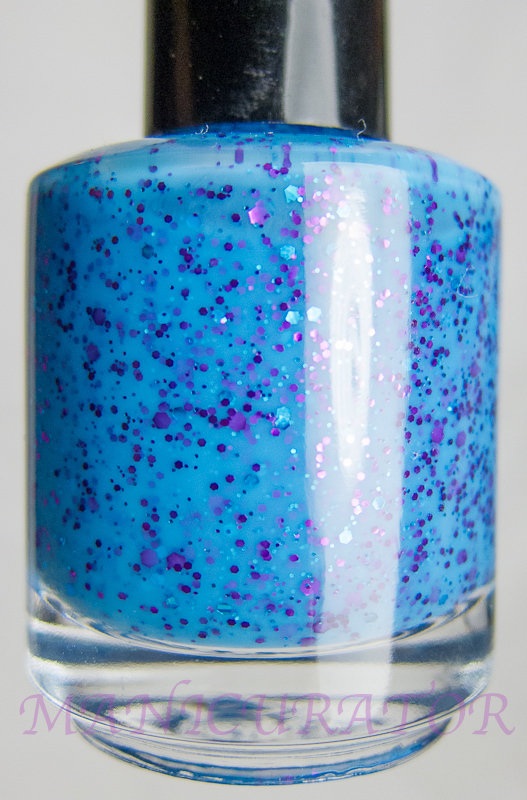 "Several sizes of pink and blue glitter suspended in a creamy bright blue base." This went on easily, coverage in 2 non streaky coats. Did I say I love this one? I think it's perfect in fact! *Disclosure* These were sent to me for my honest opinion and review. 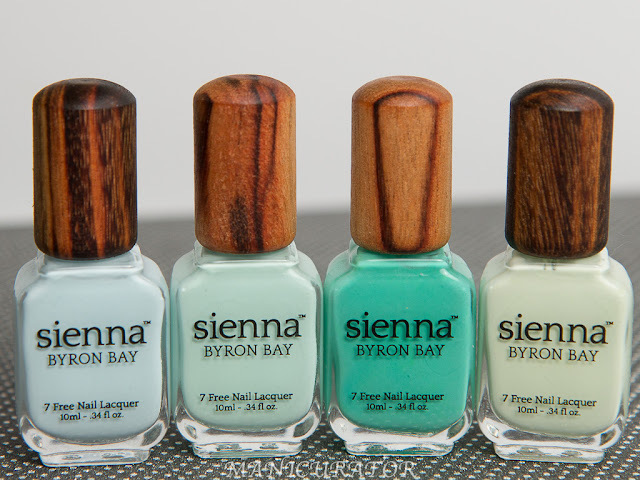 The One On the Right is my favorite- that is a great color combo!